“Where there is a will, there is a way. But, if you don’t have a Will, it won’t be your way.” This is the idea Estate Planning Attorney Sheila Barton shares with clients as she explains the importance of establishing a Will. As an experienced La Quinta Wills Attorney, Ms. Barton can help you create a Will to protect your family and your assets. By setting forth specific details of how your beneficiaries are to inherit your estate, you are not only reducing the potential for future conflict, you are also giving your family peace of mind from knowing the transition is going to be smooth after your death. Contact the Barton Law Firm to arrange for a confidential consultation with La Quinta Wills Lawyer and Estate Planning Lawyer Sheila J. Barton. As the cornerstone of a comprehensive estate plan, a Will is necessary to provide a clear, legally enforceable set of instructions designating your beneficiaries, appointing a guardian for your young children, and identifying an executor to manage your assets. If a valid Will is not executed by the time of your death, the state will decide how your assets are distributed. Following California’s laws of intestate succession, the assets you have worked a lifetime to acquire may not be handled as you have intended if you do not put your wishes in writing. Wills Attorney Sheila Barton is a compassionate legal advocate who can provide insight as you think about the way in which your family members will inherit your property. With over 30 years of experience, she works skillfully to record your wishes into a legal format to ensure the property is to be distributed in the manner you have specified. If you wish to disinherit an heir, La Quinta Wills Attorney Sheila Barton is a skilled Estate Planning Lawyer who can draft a disinheritance clause which complies with California law. This can reduce the potential for future litigation should the disinherited heir want to challenge the Will. In order to provide the best protection of your assets, it is critical that you consult with a knowledgeable Estate Planning Attorney when creating your Will. Ms. Barton can coordinate your estate plan to include an Advance Health Care Directive, Trusts, and a Durable Power of Attorney. With careful planning, you may be able to preserve your estate’s assets and save your family the time, money and hassle of the probate process. You may also be able to avoid future conflicts among family members. Wills Lawyer Sheila Barton helps clients create and update Wills, and she drafts and updates all estate-related documents. She counsels clients to review their estate planning materials annually, making adjustments for major life changes. These events include purchasing or selling property, starting or closing a business, the birth of an heir, or the death of an heir. Whether the property is in La Quinta or another California location, or if the property is in another state, Wills Lawyer Sheila Barton can help you make the appropriate plans. There may be different requirements depending on the property’s location. Contact our experienced Wills Attorney by calling (760) 834-0444. During your consultation with Ms. Barton, she can answer your questions about creating a Will and thoroughly discuss your unique circumstances. You may also submit your information online. 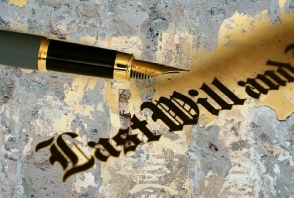 Please complete our Wills Case Evaluation Form, and our Estate Planning Law Firm will contact you to arrange a meeting with La Quinta Wills Lawyer Sheila J. Barton.